Many Obamacare Policyholders Face Tax Surprises This Year : Shots - Health News Depending on the size of the subsidy they got, some will get a bigger refund than expected and others will owe taxes. Depending on the amount taken in subsidies, or changes in reported income and family status, some Obamacare policyholders this year will get a bigger refund than expected and others will owe more in taxes. The old saying goes, "Nothing is certain except death and taxes." But the Affordable Care Act has added a new wrinkle. For many policyholders, the ACA has introduced a good deal of uncertainty about their tax bills. That has led to surprise refunds for some and higher-than-expected tax payments for others. If you're insured by Obamacare, filling out your 2014 federal income tax return will require you to figure out whether the premium subsidies you received were appropriate for your level of income. Ellen Goldlust of Blacksburg, Va., set out to do that when she tried to do her taxes early this year. But Obamacare presented problems for her online tax-filing software. "So I took it to a friend's tax guy and he redid my taxes for me and I ended up with a $3,900 refund. It was about twice what I thought I was getting." A study by the Kaiser Family Foundation estimates about 45 percent of Americans who got their health insurance through the ACA will get a bigger refund than expected. Goldlust makes just $30,000 a year as a freelance book editor. The older of her two sons is headed for college next year, so her big tax refund was a welcome windfall. "Discovering that I was getting $3,900 back was like winning the lottery," she says. Part of the reason her refund was so large is that Goldlust chose to take less than her estimated $250-a-month premium subsidy when she made her monthly payments during 2014. "With ACA being new, I didn't know what was going to happen," she says. "And I didn't want to take a chance that I would end up having to come up and pay a chunk of money." A lot of Obamacare policyholders couldn't afford to do that, says Cynthia Cox, a senior policy analyst with the Kaiser Family Foundation. If they didn't take their full subsidy each month, she says, they couldn't pay their insurance premiums. But that leaves them no cushion to absorb reductions in the amount of their subsidy if their income rises or they have a change in family status. So, Cox says, they could have a nasty surprise. "Roughly half of households who qualified for subsidies last year could owe some or all of that back to the government when they file their taxes," she says. 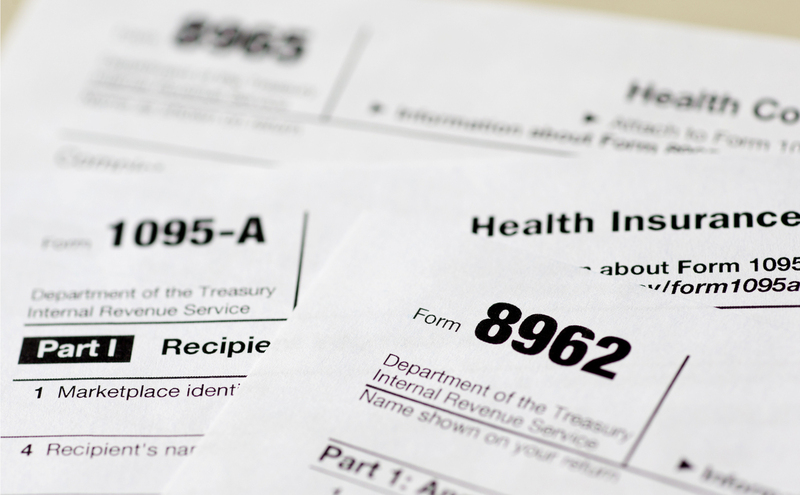 According to estimates generated by the Kaiser Family Foundation, the average bill for those taxpayers will be almost $800 more than they expected. Increases in income could be the cause. But significant life-changing events might affect your subsidy, too. That's what happened to Jody Cedzidlo. She got married in 2014 to her longtime partner, Eric Haugen. They didn't realize until tax time how much that changed things. "Even though we have the same two incomes, when you add them together, we're not anywhere near eligible for the same subsidies," Cedzidlo says. Their total subsides went from about $250 a month, before being married, to just $60 after tying the knot. That's because their income as a couple came close to exceeding the level that qualifies for an ACA subsidy. Their accountant's first pass at their taxes showed they owed the government about $1,800 for subsidies they shouldn't have received. But Cedzidlo thinks that's because the return showed them being married for the full year, when they actually didn't get married until Sept. 6. She hopes a redo of the taxes will show they'll owe only $400. "We just did not know any of this. Our decision to get married — we didn't realize we needed to research it financially," she says. "I just can't believe what a big difference it made." Cox of Kaiser says this tax year will be a learning experience. The lesson, she says, is to report any change in income or family status to HealthCare.gov so your subsidy is adjusted right away. There is one other group that will owe more tax in 2014. Obamacare required everyone to have health insurance beginning last year. If you didn't, and didn't qualify for an exemption, a penalty of $95 or 1 percent of your income — whichever is larger — will be added to your tax bill. This year, the penalty fee increases to $325 or 2 percent of your income.